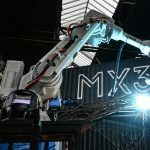 With its flagship project “The Bridge” – 3D printing a steel bridge in Amsterdam – the company shows the potential of open innovation and industry collaboration. 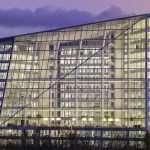 The Edge is the most sustainable office building of its size and sets new standards in terms of sustainability and user-friendliness through smart building design and technologies. 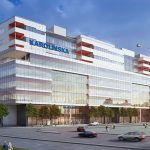 The New Karolinska Hospital in Sweden will be one of the most sustainable hospital buildings in the world and it is also one of the largest PPP projects leveraging BIM across the entire lifecycle. 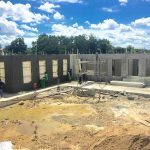 Winsun made global headlines with the first 3D printing of 10 houses in 2013 and delivering the first 3D printed office in Dubai. 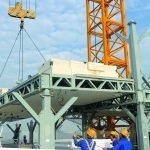 Using pre-fabrication, the company manages to significantly improve speed and costs of production without foregoing quality and environmental protection.